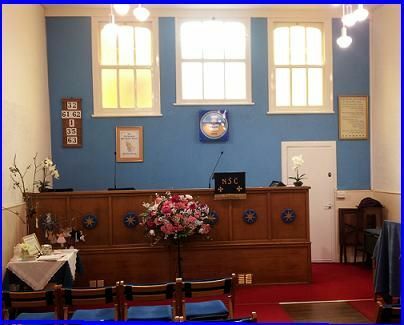 The Church is affiliated to the Spiritualists' National Union, which is the recognized representative of the Spiritualist Religion in the UK. Navigate by clicking on the MENU above. Please browse our web site to learn about us and check the calendar for events that may interest you. We welcome people from all backgrounds, religious or otherwise. No pressure would be placed on you to become a Church Member. We pride ourselves in being a friendly, welcoming place to visit and to discover the truths that Spiritualists hold to be proven to them. Only you can decide if they can be truths to you. The Church has been affiliated to the Spiritualists' National Union since 1917 and has been in the present premises since 1965. The building was originally obtained by Spiritualists in 1902/3 and converted by them, but was later in use by the Mormons who sold it to us. National Spiritualism is accepted by HM Government as the registered religion of Spiritualism in the UK. National Spiritualism is based on the philosophy of The Seven Principles which may be seen on that page on the MENU which gives explanation. MONDAY at 7.30pm: (1st Monday) The Awareness Group, led by Irene Mills, allows attendees to take part in meditation and other spiritual practices, to become aware of their psychic nature and abilities and, where possible, to practice mediumistic linking with the Spirit World under guidance. This is an informal group that does not demand regular attendance and newcomers are welcome. There is a charge of £4 and the meeting lasts 2 hours. (3rd Monday) The Open Circle, led by Hayley Copp, is similar to the Awareness Group but its purpose is to extend those psychic and mediumistic abilities that are apparent and to allow participants to gain greater confidence in their practice. SATURDAYS From time to time special events are provided such as Day Workshops from 10.30am to 4.30pm, usually related to development of mediumistic abilities, and occasionally a number of private sittings with a medium. These are advertised on the Calendar.